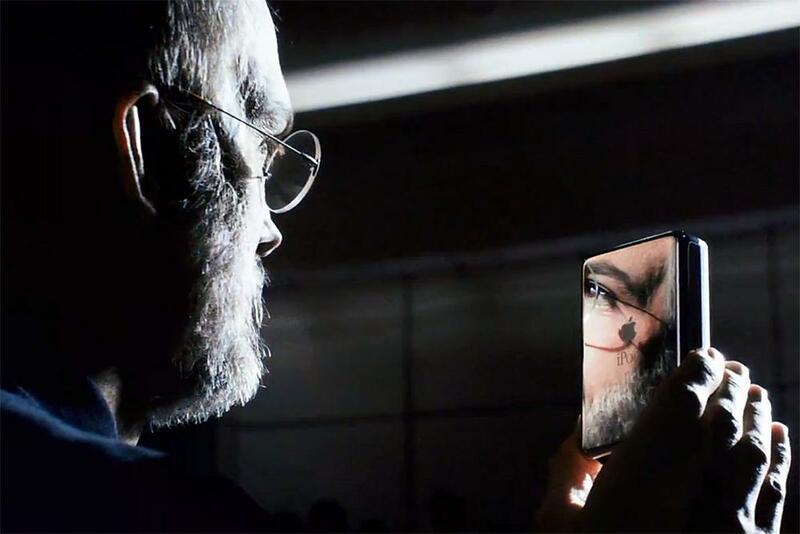 Jobs is a 2013 American biographical drama film based on the life of Steve Jobs, from 1971 to 2000. We follow Steve Jobs (ASHTON KUTCHER) from the enthusiasm and self-discovery of his youth through his darkest days, brightest triumphs, and the ultimate power of his drive, his passions, and his undying will to change everything we thought possible. Dark, honest, and uncompromising, “Jobs” plunges into the depths of Steve Jobs’ character, uncovering his driving motivations, his gifts, his flaws, his failures, and his ultimate successes. I watched this with little knowledge about Steve Jobs’ backstory. I’ve never read the books, I haven’t watched Pirates of the Silicon Valley, the widely acclaimed, so-called better adaptation of Steve Jobs. To be truthful, I find this film pretty good. At least, it is good enough to get me researching more about Jobs and even, perhaps, start reading his biography. 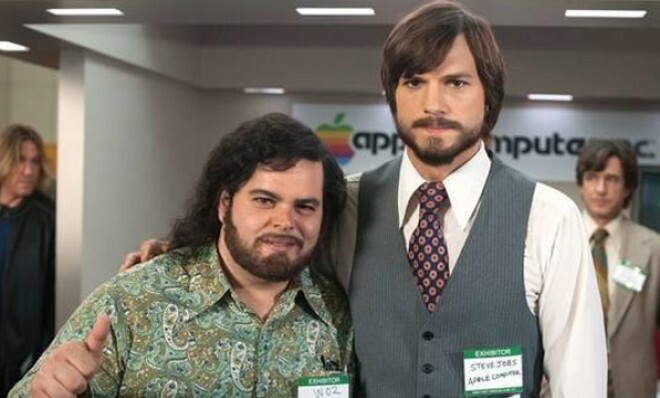 I like Ashton Kutcher’s portrayal of Jobs, and I must say, it’s a big change from the suave guy I knew in No Strings Attached back in 2011. The film focuses on the change in Apple over the years (subtle focus on the logo itself) and of course, the change in Jobs, the way he handle the situations, the way he sold ideas and inspirations and how he was ousted from the very company he founded. The first opening scene really shocked me, as I almost thought it was Jobs himself doing the speech. 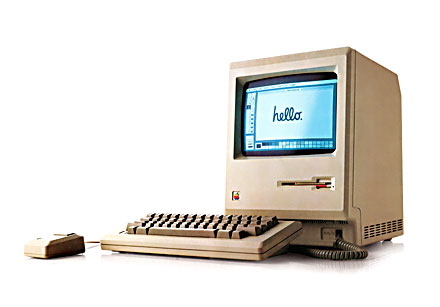 A surprise find for me is perhaps, me realising that the computer that drove me crazy back in the late 1990s as a Primary School kid was a Macintosh. During recess time, I would dash down the canteen to grab a slot for myself in front of the Macintosh before getting my lunch. Over the years, I have forgotten what brand was the computer that brought me joy back then, and watching the movie really brought me back to 1990s. It’s pretty amazing (for me, at least) to find out how so many of my childhood memories are brought to life by Jobs, including pinball games. It is definitely a worthwhile movie which reflects the struggle of a visionary leader and a team of geniuses who went all out to create the things that changed and improved our lives. However, I would suggest people who are expecting some underlying drama plot or climax scenes in the film to lower your expectation, as after all, this is about a real human and not some fictional character. This movie is being made with no involvement from Apple. 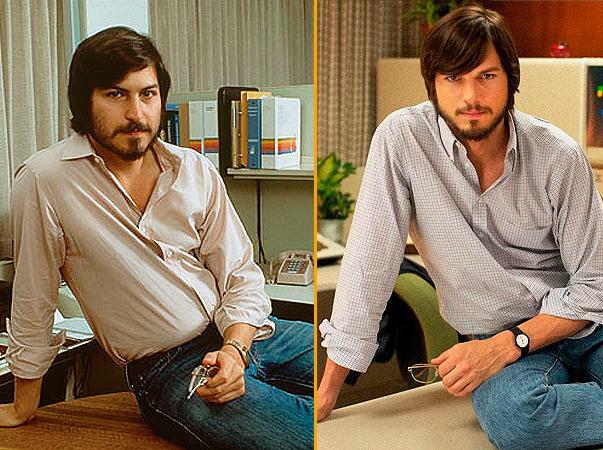 Ashton Kutcher followed a fruitarian diet, similar to the reported diet of Steve Jobs, in preparation for his lead role. The diet caused Kutcher to land in the hospital with abnormal pancreatic levels just days before shooting began. I then started to dissect the nuances of his behavior, the walk, the fact that he has an almost imperceptible lisp, his accent that was a combination of northern California and Wisconsin, the way he paused before answer, and nodded in understanding, the way he bowed in namaste when receiving praise, and stared with contempt when in conflict. I noticed how he used his hands to talk and how he counted with his fingers (pinky finger first), how he used the word “aaaaand” and “noooow” to think about what he was going to say next. Check out Jobs Official Website and Official JOBSTheFilm Facebook Page! 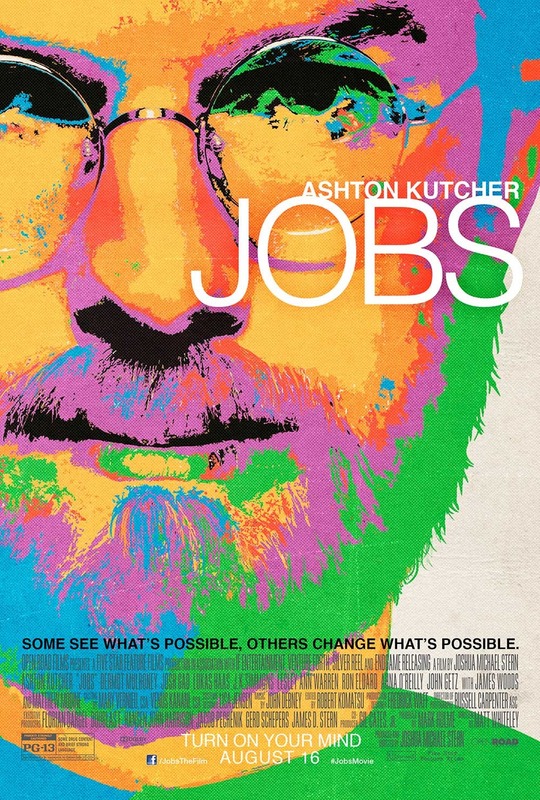 Jobs will be in cinemas on 16 August 2013.